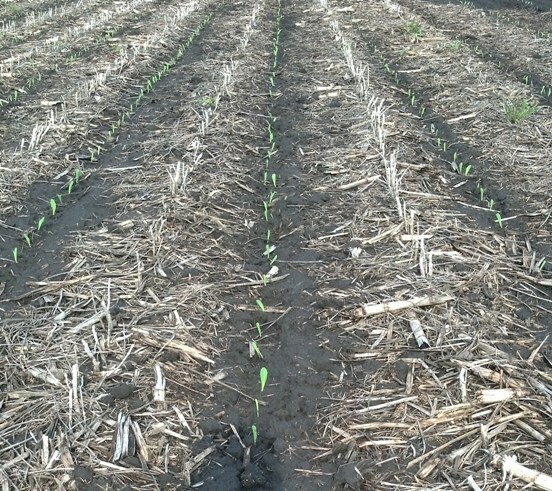 Our first planted corn across the road from the shop was up on Sunday morning. Monday evening we received 6 tenths of an inch of rain putting us out of the field. Looks like we will be back to mowing until things dry out again.